We promise every product will all function tested ok before shipping. C.check whether lack of fittings, rust, rot, heat elimination chassis. D. check internal and external connector of LCD display , Two memory, DVD driver,Network connection, Voice, Mouse, Keyboard, Dial, USB, SD connector, PC,3.3V COMS battery, Battery whether charge and discharge,Full running 3D,Restart system at least two times. When you receive the motherboard, if can not work, check your other accessories (Cpu, memory) is intact. and make sure all the other components in your laptop are good. 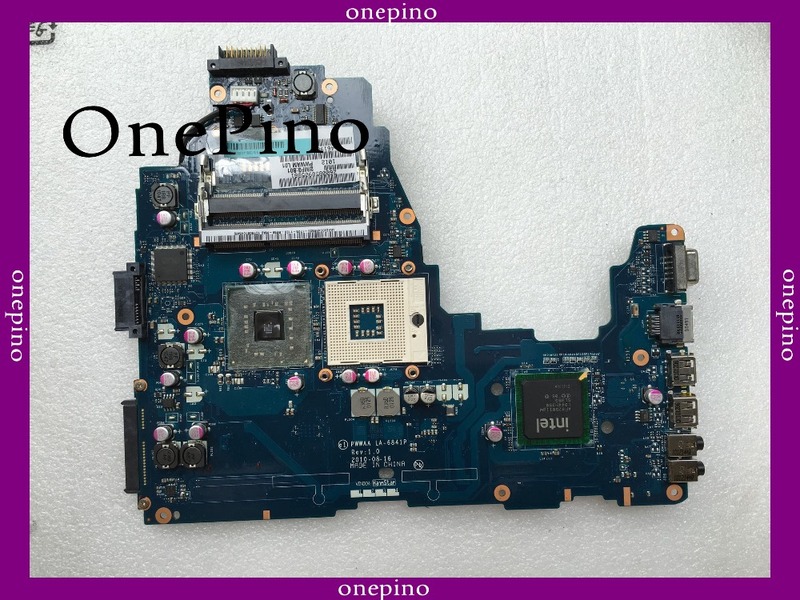 The motherboard will not work if you have another defective component(CPU, rams, video cable, heatsink, LCD, AC adapter, power jack, daughter board, etc...). Sometimes a third party AC adapter or a short video cable can even damage the new motherboard. Please contact us first if you can confirm that the main board is not working properly. We must will give you a best solution, Please do not leave negative feedback or open complaints. This has a great impact on us, thank you for your support! 3.Please make sure your shipping address is correct, If the wrong shipping address, undeliverable items will cause the buyer to re-pay the freight. Standard Shipping: We use e-Packet and Hong Kong Air Mail to send goods, normally need 15-30 working days to arrive. Express Shipping: We use DHL, FedEx, UPS, TNT to send the Goods About 3-7 working days to reach. In exceptional circumstances delivery time may take about 30 days time (such as unusual weather, Christmas, remote areas, etc.). The above delivery time is provided by the official sources. Considering uncertainty factors during international shipping, the actual delivery time could be shorter or longer in some cases. If not received within the time specified items, please contact us and we will promptly deal for you.Thanks for your great understanding. The Argentina, Uruguay, Paraguay, Russian Federation, and any country of remote city.We only by EMS or HongKong Post Air parcel,China Post Air parcel.Because we need additional payment of $35 to the DHL company, as a remote service fee.Please buyers to choose to suit their own logistics, TKS! we make sure that our products are in full-working condition by having them tested for quality. Our product warranty lasts for 60 days from the time you receive the item. If within 60 days, the item we sent you is damaged or defective, you can return it. We will either replace the item if a replacement is available or issue a refund, if a replacement is not available. If you have any questions, please contact us. Due to time zone differences, We will reply to your messages within 24-48 hours. If you satisfied with our products and service,please give us good feedback.